We are specialists in gate repair services including opener installation, parts replacement, intercom systems installation and repair and more. Count on us for fast response and the best service in California! Everyone in our team is dedicated and fully-trained to tackle any problem with your gate. Many modern properties are equipped with automatic gates whose job is to provide a higher level of security while making the access of the owners quick, easy and convenient. Our job is to keep these systems in top shape and to ensure their safe and effective operation at all times. Rest assured that we do it perfectly. The range of professional services offered by our company includes everything from gate repair to replacement and maintenance. When there is an urgent problem, turn to us to receive fast and dependable emergency assistance. Our services are designed for absolutely all types of gates including swing, sliding and overhead units. The size, make manufacturer and year of production are completely irrelevant. Expect to receive an effective solution in little time. Gates are constantly exposed to the elements. They can also get damaged by forceful impact and changes in the ground which they are set on. Besides, the moving hardware components suffer from fairly high wear and tear overtime. Given all this, problems are not uncommon. Whenever an issue arises, get in touch with us and we will resolve swiftly and professionally. If a swing gate is shaking and making noises, our technician will run full inspection and identify the cause of the problem. It usually has to do with the hinges and their welding. The most effective hinge welding repair technique will be used for resolving the issue. Our professionals in California keep up to date with the latest industry innovations to ensure that customers receive the best possible solution every time. 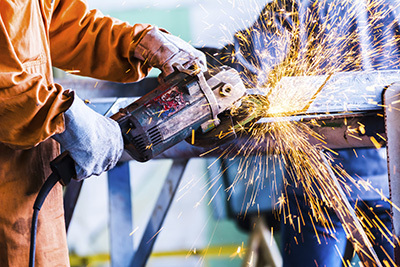 The welding will become stronger and more durable thanks to the use of the right materials and tools as well. Quality is and always will be our top priority. That is why our materials and tools are carefully chosen for their properties and performance. Whether there is a faulty or broken component, rely on us to replace it in order to restore the optimal operation of the gate. Our company is often sought to repair broken driveway gate chains. When the damage is beyond repair, a brand new one will be set in its place. It will have the exact same specifications. It will be strong and resistant to damaging effects of the elements. All of our spare parts are carefully chosen for their quality. Our warehouse is always fully stocked with everything necessary. That is why our customers receive full problem resolution within a single visit even when the situation is urgent. Our services cover each and every component of the electric gate. The list includes the opener and all of its accessories from the safety sensors to the remote controls. Intercoms and all of their components are also covered. No matter if you have an Eagle or LiftMaster opener, it will be fixed in an equally effective manner. Our technicians are well familiar with the latest innovations used by the leading brands and by their smaller counterparts. This enables us to repair even the most specific electronic component such as the circuit board. We are also fully prepared to replace faulty parts with precisely matching new ones. Our service includes full testing of the system to confirm that the implemented solution is effective. It is easy to notice when something is wrong with an automatic gate. Usually, there are clearly visible signs of trouble such as rust or misalignment of two adjacent parts. Even if the damage is hidden, you will most certainly notice changes in the operation of the unit such as strange noises, for example. Whenever you suspect a problem, you should turn to us without hesitation. We welcome all sorts of queries from customers. * Why is the gate stuck in open position? This could be due to obstruction on the moving path of the unit. Another cause of the problem is failure of the safety sensors. Our technician will come and inspect the unit thoroughly to identify the issue. Obstructions are removed while faulty sensors are fixed or replaced. * Is a moist wood post a serious cause for concern? Yes, it is. If the post decays and collapses, it could cause serious damage to the rest of the system components. Our work will begin with assessment of the level of decay and the size of the affected area. If the damage is minor, the post will be repaired using appropriate filler and sealant. Otherwise, a new post will be installed. * What should I do in case of a lost gate clicker? It is important to disconnect the opener right away to ensure that no one will be able to use the device for gaining unauthorized access to your property. If access code is required for entry, then you may go without this precautionary measure. The next thing is to report the problem to us so that you can get a replacement remote quickly. There are many cases in which many parts of the door have got damaged. This can be due to a natural disaster or to extensive wear and tear. In this situation, you can consider getting a new gate rather than going for extensive repair. When you turn to us, you will receive full assistance with making the right decision. You will be presented with thorough and objective evaluation of the system's condition and detailed descriptions of the different solutions. If you hire us for new gate installation, our work will begin with helping you select the best unit for your needs. All important factors will be covered. * Type - The choice between swing and sliding gate for a driveway typically depends on the amount of side space available and on how level the terrain is. If there is a considerable elevation, a sliding unit is preferred. Buildings with multiple garages usually require an overhead gate for the passageway to them. * Make - Galvanized steel is a popular gate material for its strength, durability and good resistant to the effects of the elements. Aluminum displays the same properties while being even better protected from rusting. Iron is a fine choice, especially if you require intricate decorative elements. It just has to have to receive treatment for rust resistance. Wood is beautiful and has good durability, but it requires a lot of maintenance and special care. * Style and design - There are numerous options in this category. When making a choice, you have to consider the style of the house and how much privacy you require. Think about maintenance as well as esthetics when making a choice. Once you have made a choice with our assistance, the new gate will be delivered to your place and installed. Our service can include the removal of the old unit if required. You can also count on us to replace the opener and the intercom system. A strict schedule for the completion of the project will be followed. The work will be done in a well-organized manner and with great attention to every detail. The panels will be painted for you, if required, and the opener remotes will be programmed. You will have a perfectly functioning gate in the shortest possible time. 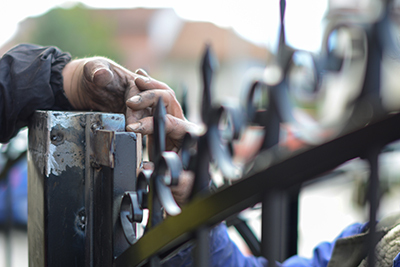 Our professional maintenance service is designed for both new and existing gates. It helps owners to save time and effort while ensuring optimal safety and functionality. Everything will be taken care of for you. Our service includes full inspection of all components as well as their cleaning. If any issues are identified, they will be fixed right away. Whether there is a need for repair or the replacement of a worn component, the job will be done perfectly. All moving metal components including the chain of the opener are lubricated for ensuring smooth and quiet performance. Only the best lubricants are used for this job. Let us give you the peace of mind that you require. At "Gate Repair Costa Mesa", we offer all services that an electric gate may require. Rely on quick reaction in case of an emergency and an equally swift resolution. Allow us to give you the perfect new gate that you will enjoy for many years to come. Get the ideal solution for ensuring the security and safety of the people that you care for and of your assets as well. 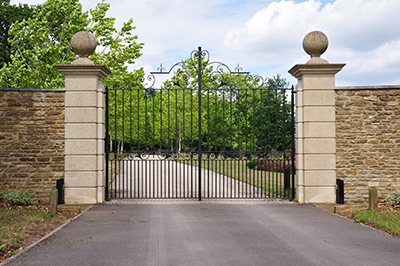 As gate experts, we have the knowhow to offer residential gate repair services, install new gates and openers, fix gate intercoms and can take care of any trouble you might be having with your gate. Our professionals offer same day service in the zip code 92626 area.